Harper holds on for the National Crown! Going into the last round, Ryan Harper was coming off of a tough loss to Christo Cave in round 9 and Yogi Ramsingh was in hot pursuit after beating Cave in round 10. So it would be Harper and Ramsingh in a showdown of former champions… one-half of a point separating the two. 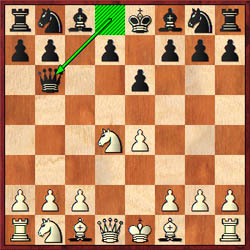 In the finale, Harper would have the white pieces and trotted out his standard 1.e4. 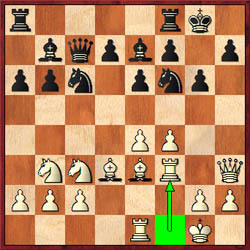 Ramsingh played an interesting move order in 1…c4 2.Nf3 e6 3.d4 cxd4 4.Nxd4 Qb6!? Of course this is not an original idea, but it's obvious intent is to get a favorable move order. 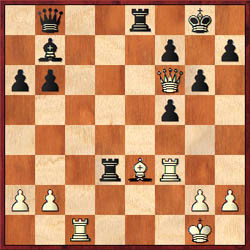 The game took on the character of a regular Taimanov and Harper made hostilities apparent after 13.Qh3!? g6 14.Rf3. However, Harper got a bit indecisive, allowed counterplay and stood worse. After getting a winning position, Ramsingh blundered with 26…Bxf3?? instead of 26…Re6 or 26…Rxe3. Harper revealed an unstoppable mate after 27.Bh6 giving him the victory (on 9-2) and the crown. The title was the 2nd for Harper. 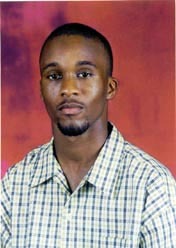 He swept the field with an amazing 11-0 blitz in 2002.